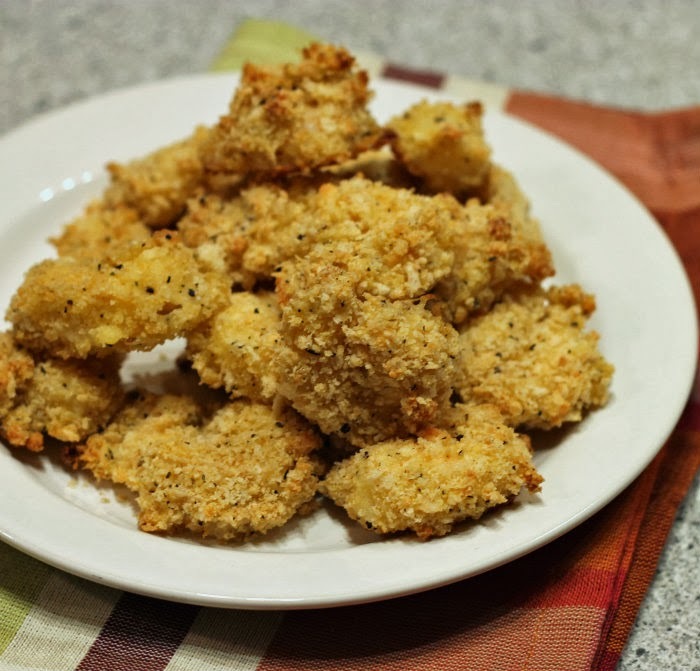 A lightly crusted shrimp … a tasty treat. I don’t know if I should admit to this, but I love foods that are deep fried… they’re so good, but so bad for you. I think this love affair began as a child, my parents had a little restaurant that they loved to go to that served the most delicious beer battered fried chicken. It was always a treat when they took us kids along and we would order this scrumptious chicken. The thought of this crispy chicken still makes my mouth water… I still remember how the batter was crunchy and the meat was tender and moist. Last week I was hungry for shrimp with a nice crunchy batter, but wanted something that would be more on the healthy side. So I decide to make them in the oven with some Panko bread crumbs for the crunch that I was looking for. I wanted plain bread crumbs but all I had in my pantry was Panko Italian bread crumbs, so I settled for that. They had a crunch to them, not as crispy as if they were deep fried, but they satisfied my craving and they were definitely a bit healthier. 1. Use three shallow bowls, one for flour, one for the egg and water, and one for the Panko bread crumbs and Parmesan cheese. Place the flour by itself in one of the bowl, beat the eggs and water together in another bowl, and mix the bread crumbs and Parmesan cheese in the last one. 2. Preheat your oven to 425 degrees F. Prepare a baking sheet (I used a jelly roll pan) line with aluminum foil and spray with a non-stick cooking spray. 3. 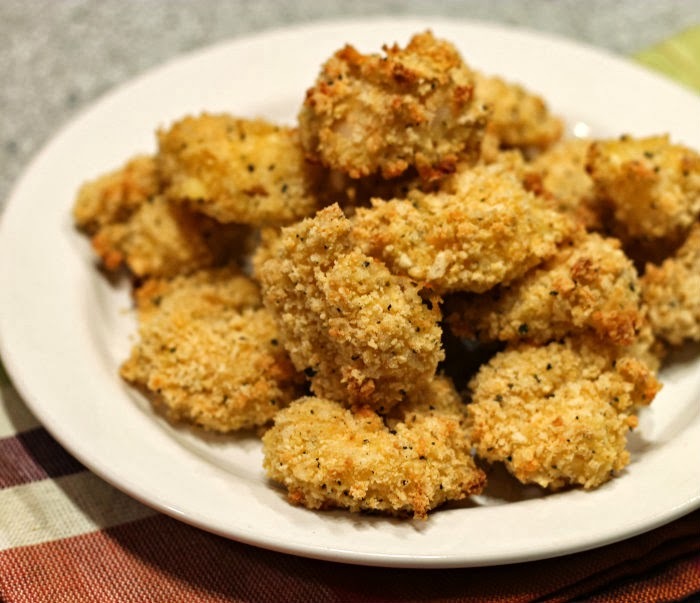 Take you shrimp and coat them with flour, dip them in the egg mix, and then coat the with the Panko and cheese mixture. Place them on the prepared baking sheet and pop them into the preheat oven. 4. Baking time will depend on the size of the shrimp. The shrimp that I used were medium I baked them for 10 minutes until they were slightly browned. 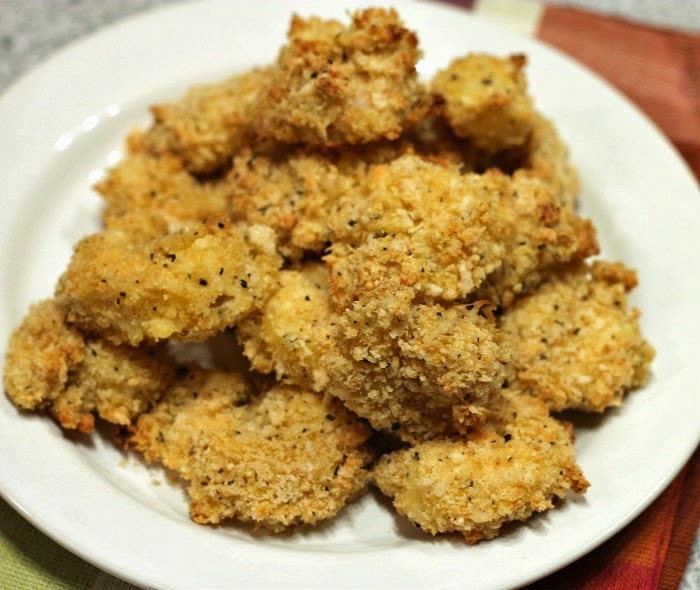 Crunchy fried-style shrimp made in the oven? I’m in! I don’t know of anyone that doesn’t like fried food…so I think you’re totally normal! But it is kind of nice to make something baked that tastes fried every once in a while too! Moderation, and all. I’m pretty much a sucker for anything fried, too. These baked shrimp look darn good, though, and almost like the fried version! Really nice — thanks.